With BMW Encore, you can bring your vehicle back with an appointment and we will re-examine your vehicle’s features with you! Now that you have had time to experience your BMW, you may have developed questions. As part of our Commitment to Excellence in Client Care, BMW of Omaha invites you to return to our center for a custom appointment with one of our BMW Geniuses for a special ENCORE Visit, so that we may offer you a further product explanation and offer any needed product assistance. 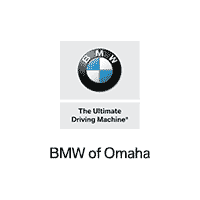 Every new car customer at BMW of Omaha is invited to return to the store for a personalized tour of your new vehicle. To schedule your appointment with a BMW Product Genius please call (402) 454-7336 or complete the form below. Thank you for allowing us to help introduce you to the Ultimate Driving Experience!